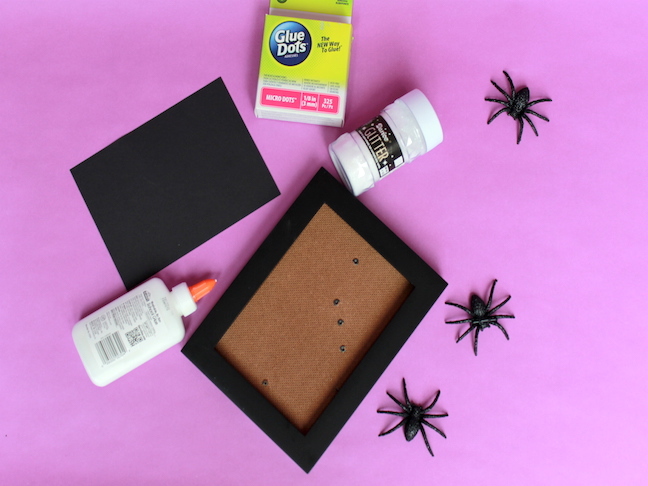 Instead of buying a whole host of Halloween tchotchkes and decor, take a look around the house first to see if there is anything you can spook up with some simple craft supplies. After a few minutes of digging around my house, I found an old picture frame, a black charger, and a glass candle vase. 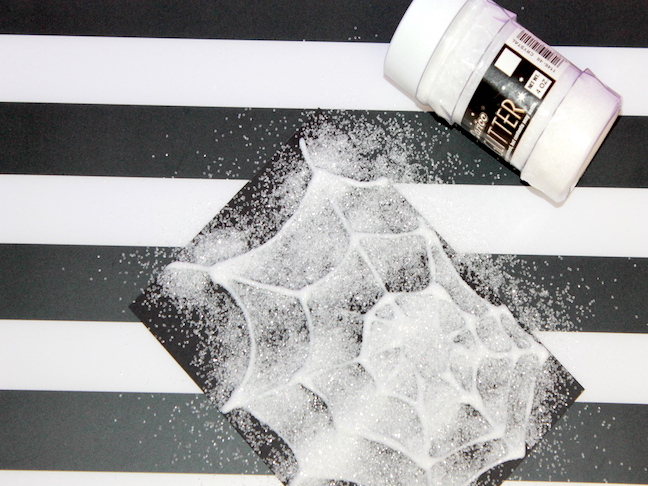 I thought it would be fun to add sparkle to these everyday items and glamorize Halloween this year. Using anything spooky and glittery—from sparkly spiders, monochromatic glitter, and rhinestones (plus, a plain skull I found on sale! 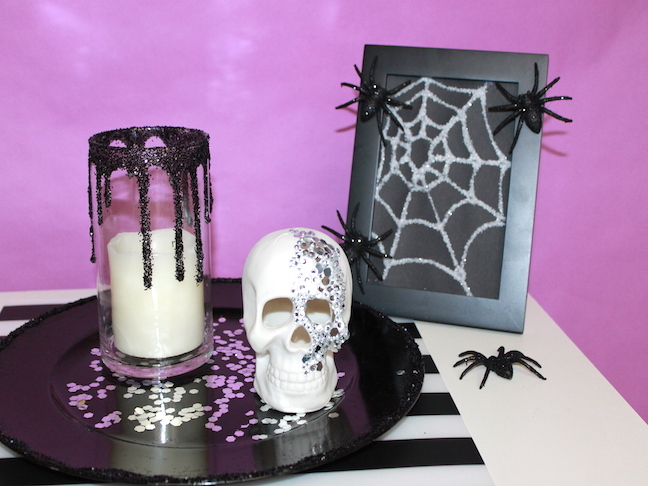 ), I was able to whip up some glam Halloween decor this year without adding a slew of new items to put into storage after the season is over. 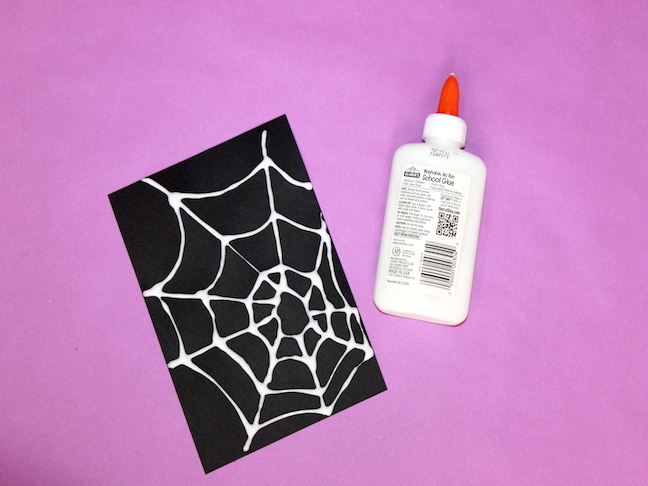 Step 1: Cut a piece of black card stock so it fits your photo frame, and then draw a spider web on it with glue. 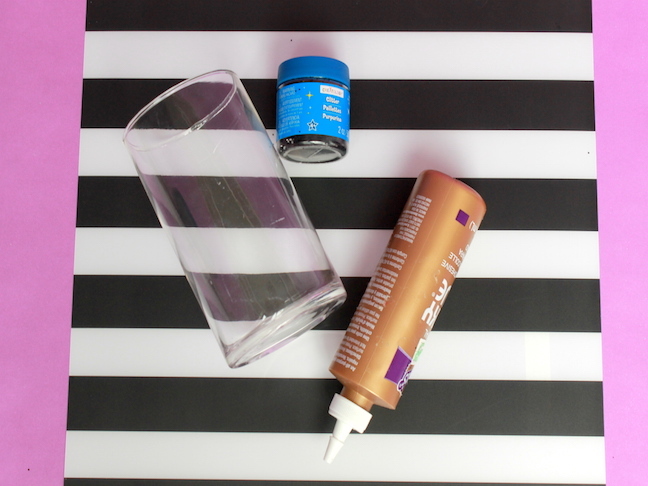 Step 2: Sprinkle white glitter on the glue. Shake the glitter off and let dry. 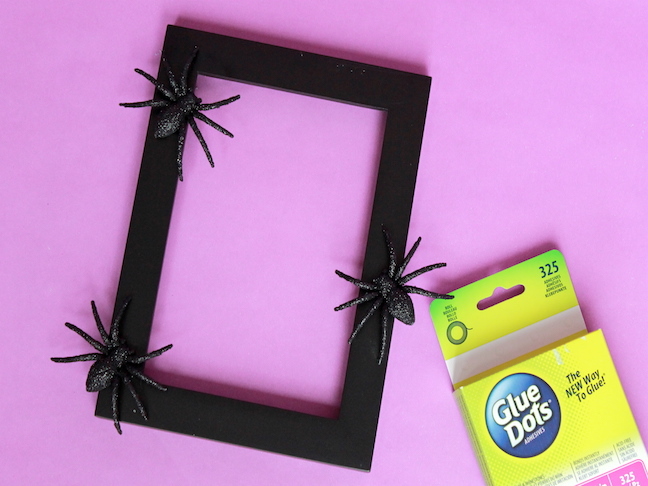 Step 3: Use glue dots to attach the spiders to the photo frame. 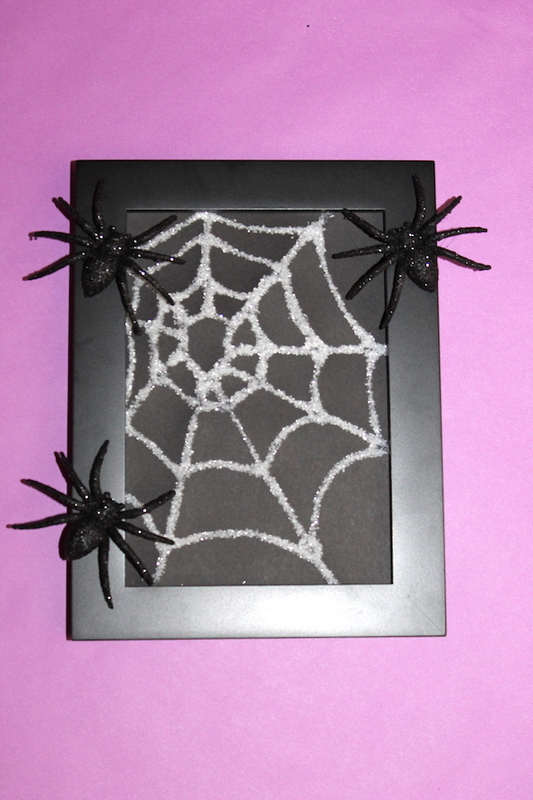 Step 4: Place your spider-web art into the frame. Step 1: Squeeze glue out so it circles the rim of your charger. 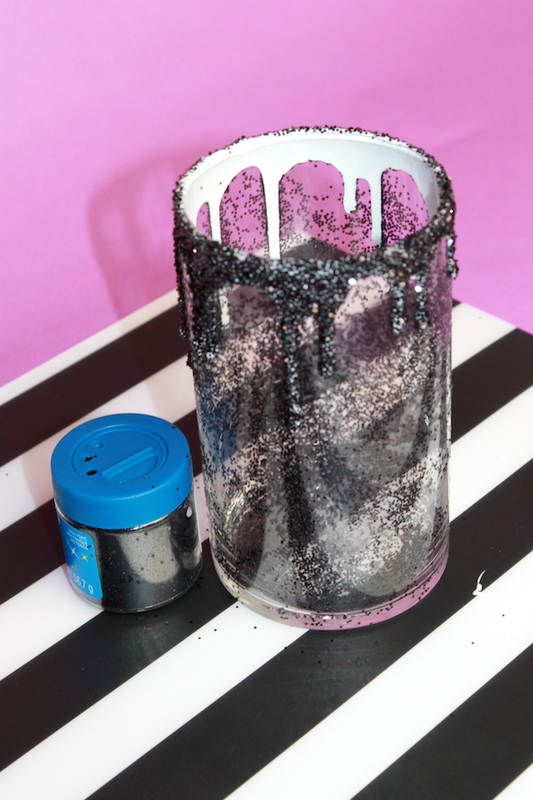 Step 2: Sprinkle black glitter onto the glue. Shake it off and let dry. 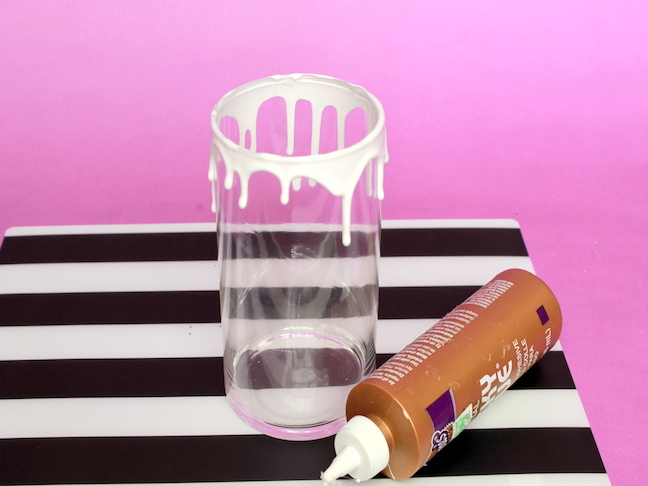 Step 1: Squeeze the glue around the rim of the glass a few times. 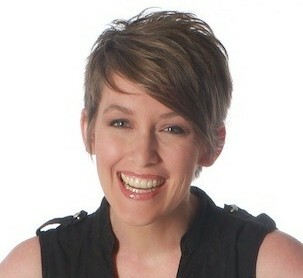 Let gravity pull the glue down so it drips. 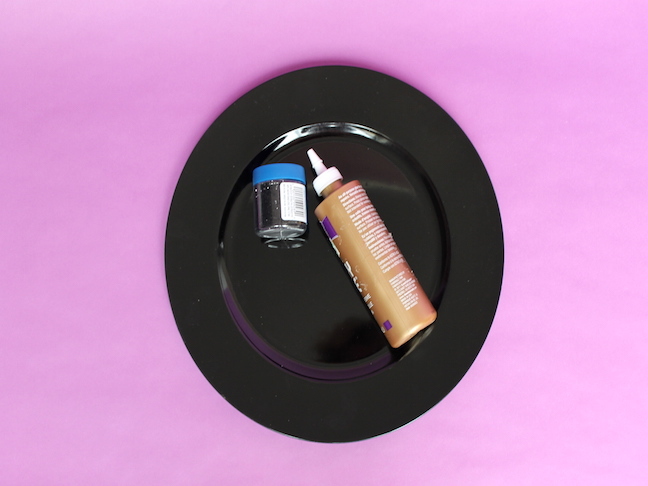 Step 2: Sprinkle glitter on the glue. 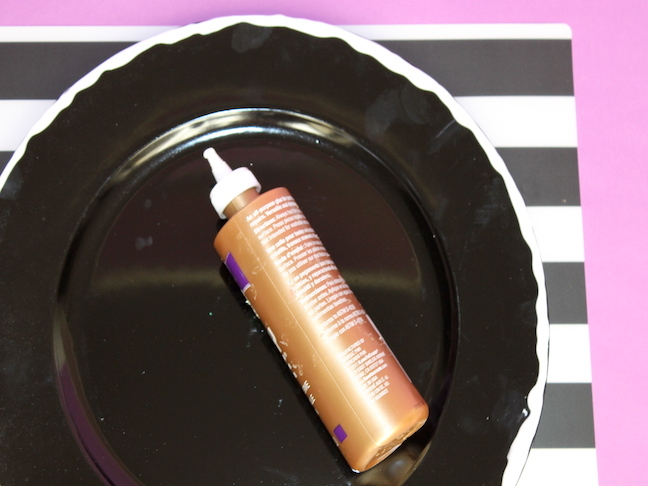 Step 3: Watch it as it dries—the glue might drip down even more. If so, sprinkle more glitter on it. 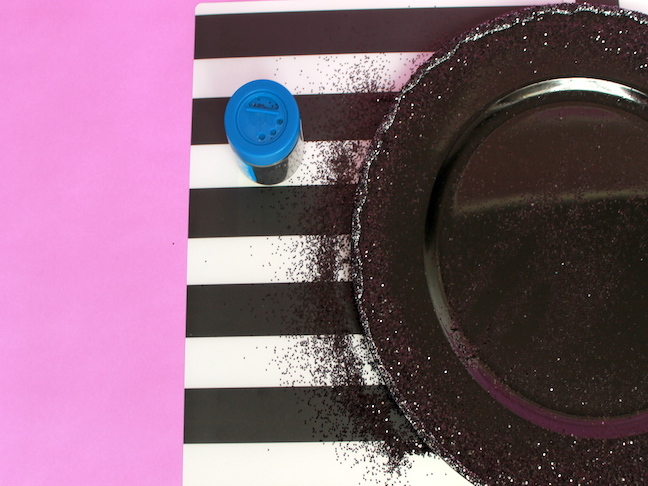 Step 4: Wipe the excess glitter off with a wet paper towel. 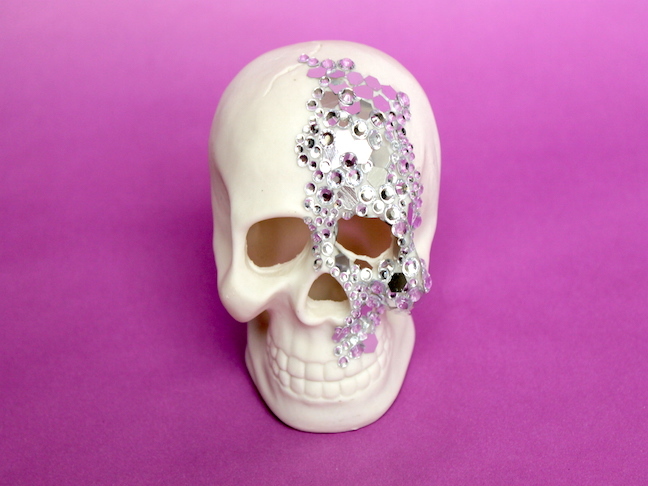 Step 1: Carefully peel off the rhinestones from the plastic backing and stick them onto the skull. Step 2: Add a dot of glue to sequins and stick onto the skull. I chose to only do a portion of the skull. You can do the whole thing if you want.